Tucked on nearly fourteen acres, this log hotel on Lake Ouimet served as the perfect winter wonderland for my radiant couple, Aunie and Sean. 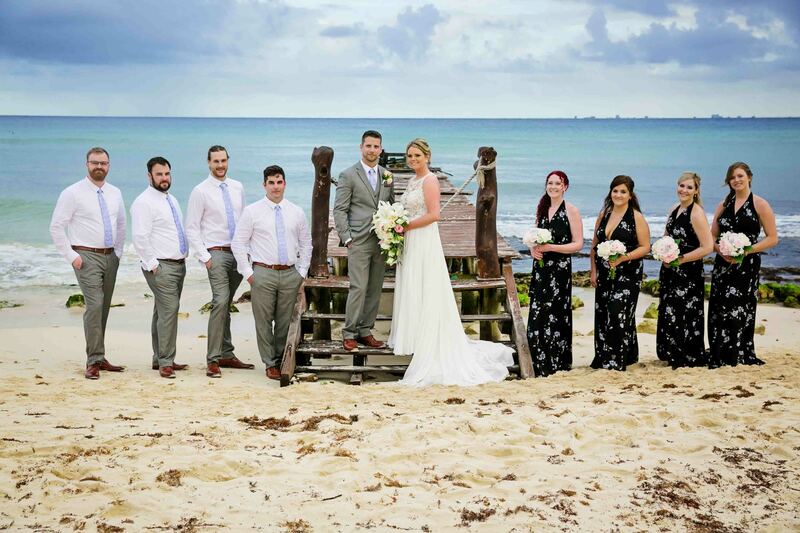 The most popular time for weddings is in spring and summer to avoid that Canadian cold. However, winter weddings bring a magic that cannot be duplicated in any other season. Le Grand Lodge Mont-Tremblant was the perfect setting to capture this magic. Thanks to the snowstorm the day before, we had freshly fallen snow and crisp, refreshing air—a photographer’s dream. I absolutely adored Aunie’s blue fur, and it served as both an eye-catching statement and much-needed warmth. Sean’s complementary blue suit against the pearly white background provided a dramatic colour pop against the gorgeous landscape of this venue. It would be hard for anyone to forget the natural beauty and distinguished ambience. 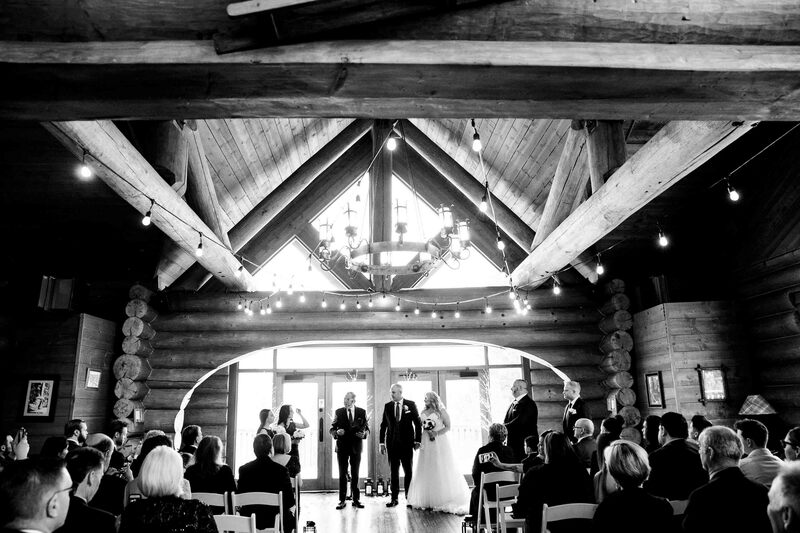 The leading lines where the wedding party was photographed coupled with the warmth of the cabin lent itself to some amazing shots. Just outside were the Laurentian mountains, a breathtaking scene that made it easy to figure out why the bride and groom wanted to celebrate their nuptials there. Sean’s two children were incorporated into the wedding party. I couldn’t help but tear up at the sight of Sean’s daughter typing up her speech while getting ready that morning. I love couple love, but there’s just something about that daddy-daughter bond that feels even more special. The ring bearers were also simply adorable, mixing up formal wear with casual shoes to steal the show. Just look at the guests’ faces and you’ll see exactly what I mean. My favourite moment of the day, though, was Sean’s brother singing Everything by Michael Bublé during the signing of the register. So much emotion delivered with a genuineness that felt intimate. The reception dinner was spectacular—I had the most delicious cod! It’s definitely a place I’d return for another meal or romantic getaway. Then of course we danced the night away as the kids, once again, stole the show. I adore winter weddings. They’re an awesome alternative for couples who embrace our Canadian winters. Winter weddings provide for stunning shots and unique opportunities. Finally, Le Grand Lodge Mont-Tremblant was a remarkable venue from start to finish, making this happy couple’s magic winter day unforgettable.